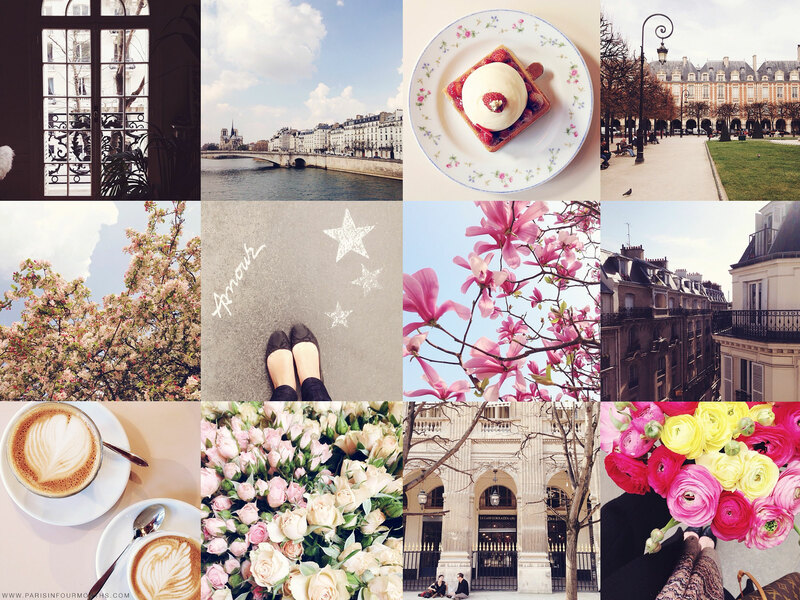 Beautiful Parisian windows, the view over idyllic Île Saint-Louis, wild strawberry tart at Carette, Place des Vosges, blossoms in Jardin du Luxembourg, stumbling upon love and magic in the streets of Paris and pink Magnolia blooms. The beautiful view from Lauren's Parisian flat, morning coffee at Coutume, a sea of pastel coloured roses, Jardin du Palais Royal and the biggest congratulations ever to my love Grace who recently became a mommy for the first time. I couldn't be happier for you. This and much more if you follow along through Instagram!